I so agree! I have made myself commit to sending actual letters this year!! And I’ve got your address my dear from your beautiful Christmas card (yes, it arrived last week — I think the USA/Canadian postal thing is a bit slow.) Anyway, I bought some cards the other day, and I just need the right postage and I will be ready to send out some greetings! Even if they are truly at a snail’s pace. Yay! A real letter for me! You’re making me all excited to check my mailbox! I want to write you back already…LOL. How funny that you guys had that conversation! And back then we thought the AOL connection was fast…LOL. Anyway, I need to write more real letters too – but social media is just so much more convenient! I find people are getting as neglectful with emails now as they have gotten with letters. It’s all instant messaging via Facebook or Twitter. Don’t want to seem a Luddite, but I miss taking the time to write and read and touch someone deeply. ha. 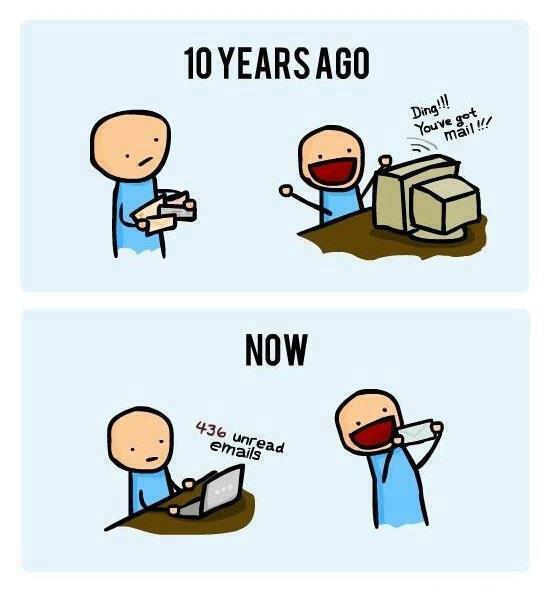 how true….what was a novelty and honor in the past is now quite overwelming…and def things that i ignore…haha…imagine what comes next and how our email system will look so slow to our grandkids….